Photos and videos of Manning were not permitted by audience members. Professional photographs will be added to the story once approved and released. 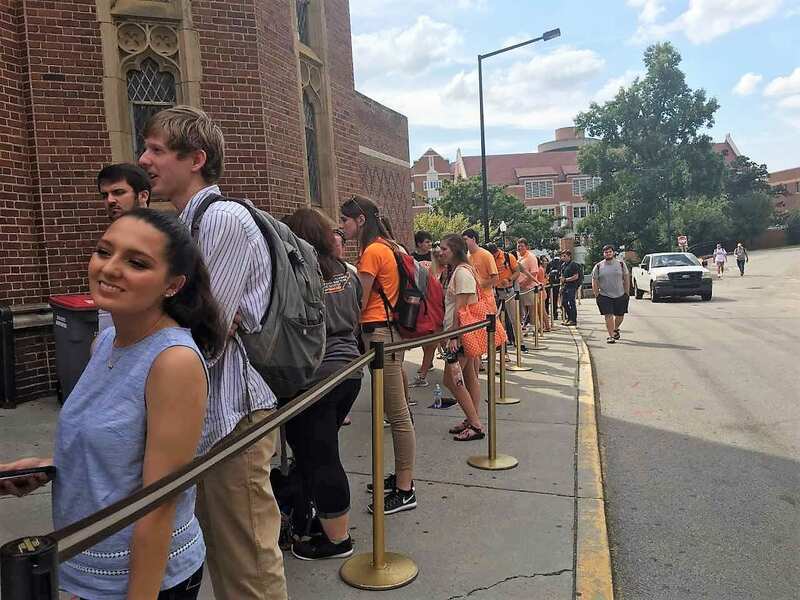 On Friday, Sept. 22, Peyton Manning shared his journey from childhood to retirement and his thoughts on leadership with nearly 1,000 students and distinguished guests in Cox Auditorium at the University of Tennessee, Knoxville. Manning was a guest of the Howard H. Baker Jr. Center for Public Policy as part of their Distinguished Lecture Series. Matthew Murray, Director of the Howard H. Baker Jr. Center for Public Policy, moderated the event. This is the second NFL season since Manning retired, and Manning shared that he missed being a part of the team the most. He emphasized that between meals, training and plane rides to and from games, the team does everything together. Before attending UTK, Manning said he had little connection to Tennessee. Manning said he visited during an ice storm, meaning he did not receive a good tour of the stadium. However, he did meet “good people,” including students and professors that made him realize he would enjoy being at UTK even if football did not work out for him. 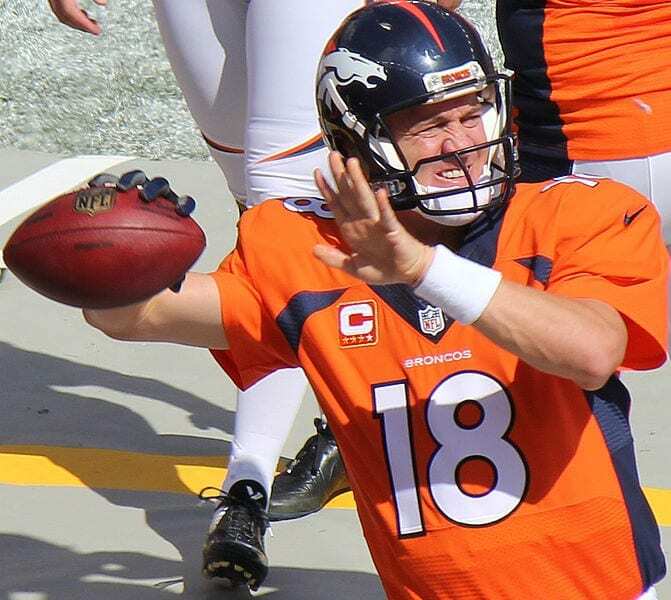 After graduating in three years, Manning decided to stay at UTK and finish his senior year. “Without a doubt, it was the best decision to stay at UT my senior year,” Manning said. According to Manning, this gave him the opportunity to slow down and enjoy his time there. “If you can’t influence the team, you can’t lead the team,” Manning said. He emphasized the importance of being a good leader, a good communicator and asking questions. He said asking questions does not show weakness like many people think; instead, it opens windows. Manning said it is easy to be a leader when the team is winning; but, when it is not good, it shows who the team really is. He stressed that when his team lost, no one called a press conference to shift the blame on other teammates. Instead, the team worked out their problems. One aspect of leadership Manning highlighted the most was preparation. “…you have to earn the respect of the people you’re leading,” Manning said. When leaving the football field, Manning said he always thought there was more work that needed to be done, but never felt that he could have prepared more. “I was never out there just winging it,” Manning said regarding play changes. He said every ‘audible’ call had been reviewed with the team beforehand. He said communication is important because everyone needs to be on the same page. “You can’t talk to anyone the same way,” he said. He said direct two-way communication is the only way to communicate; there cannot be a middle man. Manning told students entering the workforce that those employers are “drafting you” on potential and are “making an investment in you,” so it is important to earn that respect and be accountable. Manning said preparation can be challenging because routines can seem mundane, but it helps having a passion. He said if you are miserable with your routine, it is time to make a change and find something new. Justin Kingrea, a senior at UTK majoring in supply chain management, said he was glad to see Manning talk about leadership. For more information on upcoming events with the Baker Center, visit their website.